An MLA from Mahua in Vaishali district, Tej Pratap has kept away from his family as well politics since he filed for divorce on November 3. PATNA: RJD president Lalu Prasad's elder son Tej Pratap Yadav Friday made his first appearance at the state assembly on the final day of the ongoing winter session. On Friday, he came to the Vidhan Sabha wearing a white dhoti and kurta and an off-white waistcoat besides sporting a red tilak on his forehead. He, however, avoided crossing paths with his younger brother Tejashwi Yadav, who is the Leader of the Opposition, as well as mother Rabri Devi, who occupies the same position in the legislative council, signalling disquiet in the family over the divorce issue. Tej Pratap declined to answer queries about his ongoing marital strife but was quick to defend his party, the Rashtriya Lok Dal's (RJD) frequent stalling of proceedings in the House, which on Friday too was adjourned till 2 pm within minutes of commencement. The opposition has to do whatever is possible to draw the attention of the government towards the plight of the people, he told reporters before getting inside his car and speeding away. Yadav, who had arrived here on Wednesday night, is said to be putting up at a hotel and while appearing before a court on Thursday in connection with his divorce petition, he admitted that he had not visited his home nor met any member of his family but declined to reply to further queries. 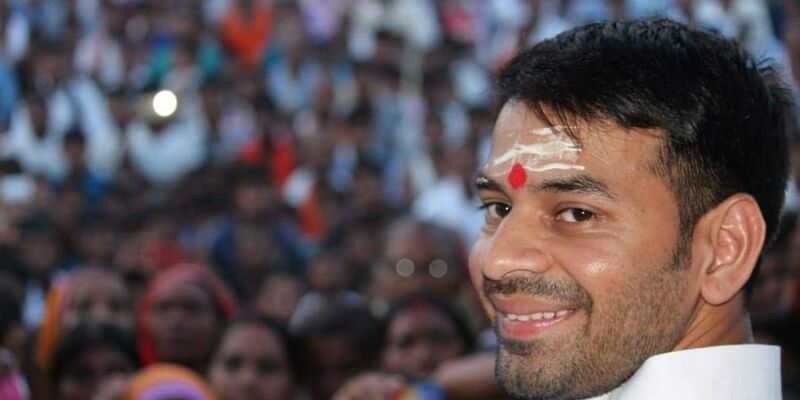 Known for his volatile disposition, Tej Pratap's decision to seek a divorce from Aishwarya Rai, his wife of six months, has not gone down well with his parents and siblings. The court had posted the matter for further hearing on January 8, 2019. He had last month made it clear that he would not return home until his family came out in support of his decision. He was also conspicuous by his absence at a dinner hosted at the residence of Tejashwi Yadav on Thursday night. RJD state president and MLC Ramchandra Purve later said the get-together was organised to celebrate the success of the party in effectively putting the government on the mat during the ongoing session of the legislature.